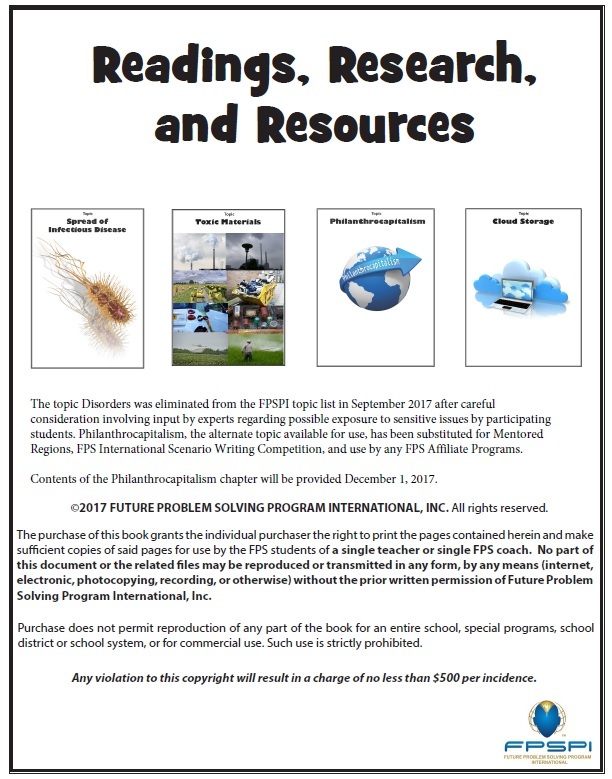 Summaries of articles which look at the first four (4) current FPS topics: Spread of Infectious Disease, Toxic Materials, Philanthrocapitalism, “Cloud” Data Storage Security from multiple viewpoints. Includes questions for discussion, terms, definitions, and a list of resources, including web sites. A must-have in preparing for this year’s topics.